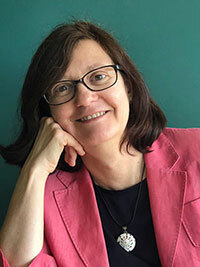 Mirjana (Mira) Seskar, Ph.D., Program Coordinator at GIBEX, received MS in Agronomy from Texas A&M, and PhD in Plant biology from Rutgers University in the field of plant secondary metabolites and disease resistance. After postdoctoral research in Dr. Nilgun Tumer’s lab working on pokeweed antiviral protein, she taught plant biology, biochemistry, and biotechnology courses at Monmouth University. From 2006-2011 she worked in Phytomedics as a Project Manager providing scientific support to a cross-functional preclinical and clinical team to enable US and EU registrations for new botanical drugs. She was a primary point of interaction between the company and Dr. Raskin’s laboratory, tracking the development of research pipeline and facilitating progress of R&D, while maintaining close relationship with Technical, Pre-clinical, Regulatory Affairs, Finance and Legal groups. Since 2011 she joined Nutrasorb LLC as liaison coordinating manufacturing and preclinical studies with botanical extracts to facilitate and support the transfer of technology from the research platform to the Functional Food Industry and Consumer Beauty products commercialization. From 2013 she has been a Research Supervisor in Dr. Raskin’s laboratory where she manages a large plant natural product research laboratory, oversees the expenditure of all funding; coordinates personnel activities; and prepares grant proposals, status reports and fiscal budgets. She is also project manager for domestic and international activities including the NIH-funded Center for Botanicals and Metabolic Syndrome (CBMS).